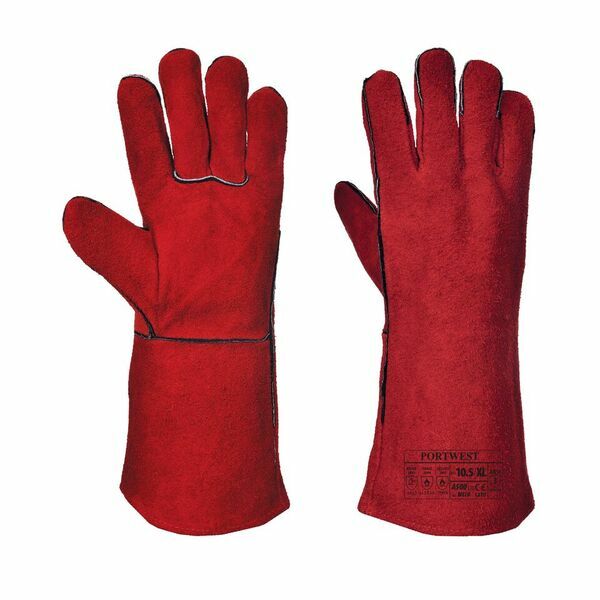 Designed with cow split leather to provide exceptional mechanical resistance, the Portwest Welders Leather Gauntlets A500 offer ultimate heat protection making them ideal for welding applications. 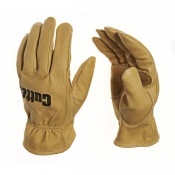 They are ideal at tactile applications as they use a flexible liner to ensure high grip and an inner cotton liner to guarantee long-lasting comfort. The Portwest Gauntlets A500 are available in one size that should suit most users thanks to the flexible and anatomical design. However it is recommended that to ensure a perfect fit, you measure the circumference and length of your palm and match the results to the table below.